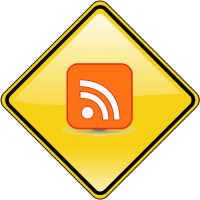 You are here: Home / News / What is an RSS Feed? CDOT provides syndicated feeds across this site RSS. You can access these feeds to automatically get traffic, project and road condition updates. If you see that feed symbol in the browser, you may click on the button and subscribe to the content. In Internet Explorer, click the button, which will show the page and the feed(s) for the page. Subscribe where the page says "Subscribe to this feed." In FireFox, click the button to generate an option to "Subscribe to ...." Then, select the feed you are interested in subscribing to. You may also subscribe to syndicated content on other websites, or download an application to read feeds. Whatever application you use, you'll need to copy the URL of the feed and paste it into the application you use. Hover your cursor over the orange XML button to the right of the link you are interested in subscribing to.